Aside from friends and family, I think the thing I miss the most about Northern Ireland is its selection of ice lollies. Considering its such a chilly corner of the world, we love our frozen treats. Ice cream has its merits, but there’s something about ice lollies that we especially enjoy. These lollies held a massive lure when I was a kid popping to the local shop with my pocket money. Sometimes you went for quantity over quality and got handfuls of those Mr Freeze freezepops in the long plastic containers, making sure there was at least one Blue Raspberry flavour per batch. A freezepop fest didn’t count unless you dyed your tongue an unnatural shade. But more often, it was all about branded lollies on wooden sticks. I’m old enough to remember when they embossed jokes onto the sticks and this was worth the potential to set your teeth on edge with the wood. Walls offered us Mini Milks and Funny Feet, but I didn’t like either much. Lyons had the iconic Fab and the Mivvi, but they were cinema lollies not hot day ones. 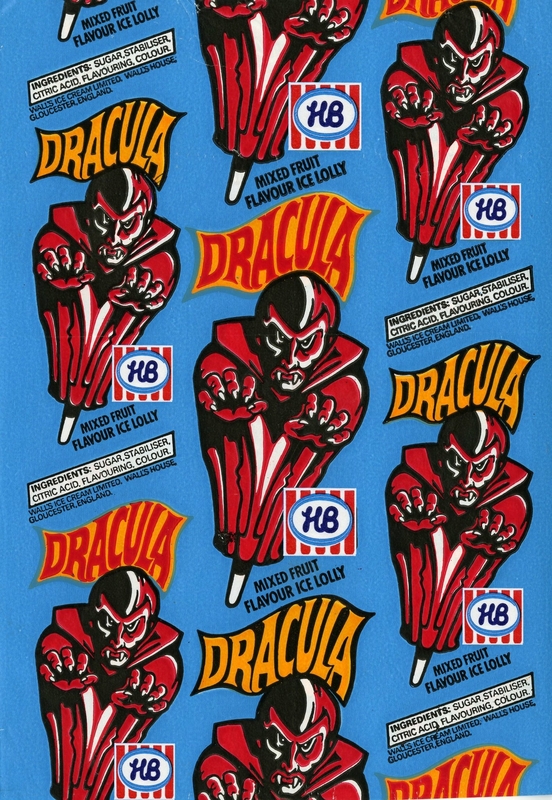 I adored Irish company HB‘s Fat Frogs which were apple flavoured and had a soft spot for a shark shaped one that was sharp and citrus flavoured and a blackcurrant Dracula lolly too, but my love lay (and still does) with Norn Irish classics from Dale Farm. Leaning over the freezer trying to choose between a Rocky Rasper (raspberry, but not blue), the sugar free but lovely lemon-lime Supa Cool, a smooth vanilla Mr Frostie (in lieu of the toy lolly maker of the same name) or the crocodile branded Choc Pop was tricky. I never wanted a Joker with its orange outer and ice cream middle and I hated orangey Quenchers too. My first choice was always the Pear Picking Porky, the undisputed classic ice lolly of all time. Not, as my Slovakian surrogate sister once asked, pig flavoured, but made of that artificial pear flavouring that is nothing like the fruit, these lollies the spot every time. I’ve even eaten them walking up Botanic Avenue on Boxing Day. The only problem with them is that they are so popular they sell out easily, meaning one needs a back up plan. For me this comes in the shape of a Polly Pineapple. So when I found myself far from Belfast in the middle of a heatwave and craving frozen salvation, I knew I could muster a pineapple lolly in London rather than a pear one. Surely it would be pretty simple? I like tinned pineapple (blame my Mallory Towers habit as a kid) so that’s what I used but if you can get a super sweet and ripe fresh pineapple, it’d be perfect. Sniff the base of it, discreetly if in store, and if it smells strongly of pineapple, it is perfect. Peel it, remove the core and chop it up making sure you keep any juice. If using the tinned, tip it, juice and all into a large bowl. Using a hand blender, blitz the pineapple of either kind and its juice together until smooth and lump free. It should like those nectar style juices you get that contain pulp. Set aside and chill. Make a simple sugar syrup by combining the sugar and water in a pan and heating together until it forms a thick syrupy texture without changing colour. Remove from the heat and allow to cool down. You will have slightly more here than you probably need for the recipe but it keeps well in the fridge and is perfect for sweetening iced tea in hot weather. Add about 50ml of the cooled sugar syrup to the pineapple pulp and stir. Pour into a Tupperware container and put the lid on. Put in the freezer and chill for 4 hours. Either give it a stir once an hour with a fork to break up the ice crystals and keep it smooth or leave it alone for 3 hours and then blitz it again with the handblender and freeze for another hour.